Woodlands Hospice is saying goodbye to a longstanding, key member of the team. Ken Hoskisson is due to retire as Chair of the Board of Trustees at the end of March at which time he will also retire from the Chair role he holds at The Walton Centre. He is looking forward to spending his free time with wife Barbara and their family. 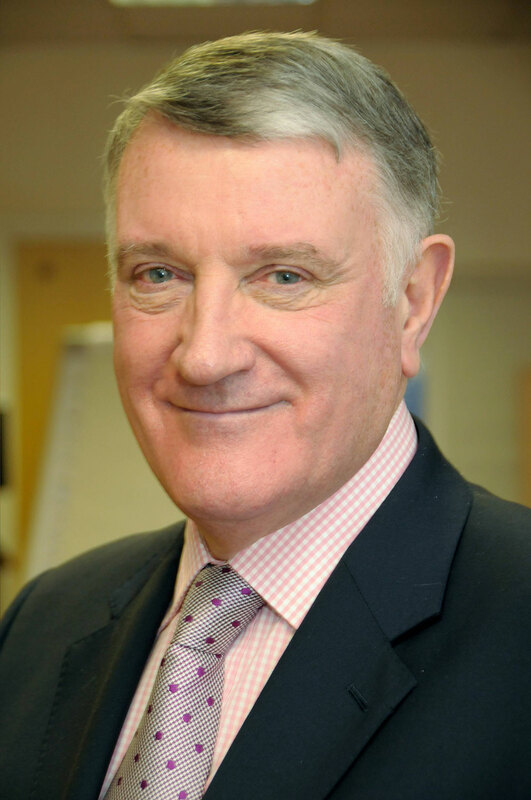 Ken has been Chair of Woodlands Hospice for the last 12 years and a Trustee prior to that. Over the 20 years he has been actively involved with Woodlands he has overseen considerable growth and development, and he recalls his most significant ‘high’ as the building of the Hospice’s Inpatient unit and the opening following the transfer of the Specialist Palliative Care Unit from Aintree Hospital in 2009. Despite the challenges of funding to get the Unit off the ground and the ongoing challenge of fundraising to sustain all services, Ken is proud of the Hospice team for taking the leap of faith to ensure the best possible environment for patients at the end of their lives. He says he is very proud and satisfied with what has been achieved at Woodlands and commended the extremely dedicated people who work at the Hospice. He is passionate about the fact that the Hospice is involved with people at the most vulnerable time of their lives. Ken’s voluntary service to patients at the end of life was justly recognised last month in the New Year’s Honours List where he was awarded an MBE for his voluntary service and also his contribution to the NHS over many years, in key roles, since his retirement from Merseyside Police in 1996. The Hospice is currently looking for a new Chair to steer them through future challenges in end of life care and the securing of charitable funding moving forward. For informal discussion about the role please contact Rose Milnes, Chief Executive, Woodlands Hospice on 0151 529 8648.